This Situation Update describes events occurring in Bu Tho Township, Hpapun District between June and October 2015, including killing, forced labour, forced recruitment, a religious issue and education. Three villagers who lived in C--- village were violently murdered by Commander Hpah Mee of the Karen National Liberation Army (KNLA) in 2015. The victims’ relatives were left behind in mourning after the victims were killed. 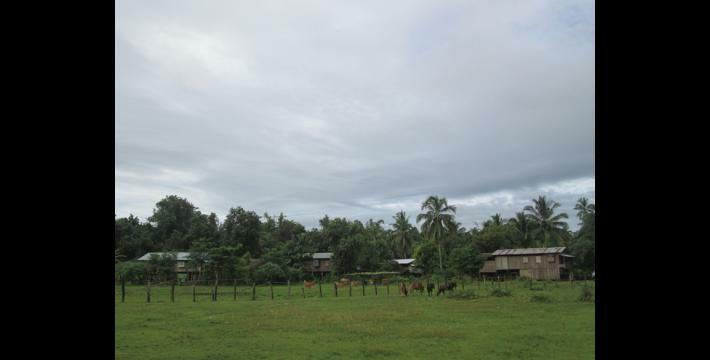 The villagers who live in Meh Pree village tract were forced to do labour during their harvest season by the Border Guard Force (BGF) Battalion #1013 and #1014, led by Bo La Kyel and Bo Maung Chit. The villagers had to pay 5000 kyat [US $4.08] per day if they did not go to labour for the BGF. The KNLA forcibly recruited soldiers in Bu Tho Township on August 15th 2015. 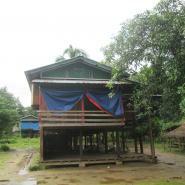 The villagers fled to Myaing Gyi Ngu Town to escape from the forced recruitment. 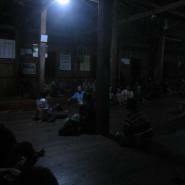 The teachers and 51 students from E--- School fled to Myaing Gyi Ngu Town due to the fear of the KNLA forced recruitment. Stupas were built by Sayadaw U Thuzana in five villagers’ house compounds in Htee Th’Daw Hta village tract. Villages complained about the religious conflict that this caused. The following Situation Update was received by KHRG in November 2015. It was written by a community member in Hpapun District who has been trained by KHRG to monitor human rights conditions. It is presented below translated exactly as originally written, save for minor edits for clarity and security. This report was received along with other information from Hpapun District, including 123 photographs and six video clips. The Situation Update from Bu Tho Township was documented by me [KHRG community member] and covers the villagers’ suffering as I saw with my eyes when I was travelling. It was documented from June to October . [The Situation Update covers] villagers’ situation, healthcare, education, a religious issue, human rights violations related to killing, violent abuse, forced labour, [also] including Tatmadaw situation, BGF [Border Guard Force] situation and [their military] activity and KNU [Karen National Union] situation. There are 11 village tracts in Bu Tho Township; they are Pa Heh village tract, Hkaw Poo village tract, Bgah Der village tract, Meh Klaw village tract, Meh Nyoo village tract, Meh Hkoo village tract, Meh Mweh village tract, Day Wah village tract, Kyaw Pah village tract, Meh Pree village tract, and ’ Htee Th’Daw Hta village tract. Among 11 village tracts the villagers who specifically live in Kyaw Pah village tract, Meh Pree village tract and Htee Th’ Daw Hta village tract live with worry [face with human rights abuses] more than other [villagers] in other village tracts. Why do they live with fear? After Monk Hkay Mee Ka was shot, the situation has changed directly. The BGF ransacked the KNU territory and they are currently more active and trespassing on the KNU delimited area more [than they used to be]. 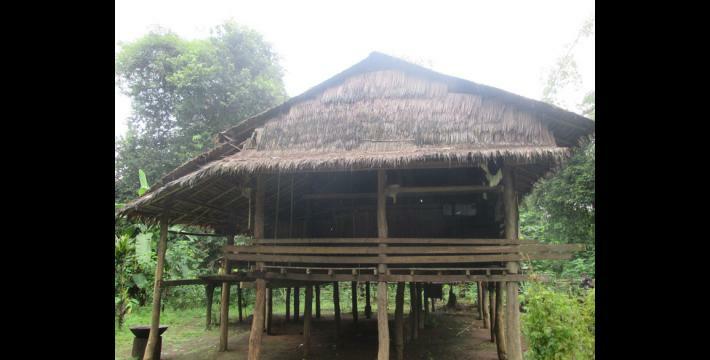 The villagers thought that they ransacked the KNU territory in Meh Pree village tract and Htee Th’Daw Hta village tract. They forced villagers to work and they [villagers] were abused by them [BGF]. Therefore villagers were afraid of them and some of them fled [to other places]. The villagers who live in Htee Th’Daw Hta village tract have been frightened of Commander Hpah Mee and his soldiers who are operating in Meh Lah area. I have seen that all households [villagers] who live in the local area work on hill farming. They rotate to work on hill farms year by year. After they finished one year farming they go to another place for cultivating the new hill farm in order to [produce the paddies for] the coming year. It has been practiced from our great grandparents to earn their living and it has been practiced generation by generation. The hill farmers encounter many kinds of problems as farmers. Since they started cultivating their hill farms, it is not easy for each of them to eat [to collect enough food for a year]. In  I saw that the hill farmers [who live] in Bu Tho Township faced many kinds of problems such as unfavourable weather, heavy rain which damaged the paddies, and poor growth where the paddies were not growing well because it was too hot and some of them dried up. Moreover, there were two types of insects [animals] that attacked the paddies: rats and wild pigs damaged the paddies. Therefore, some hill farmers produced only ten baskets of paddy even if [they work on the large farm] which can produce 100 baskets of paddy. Some villagers cannot collect enough food for a year because of different issues. Furthermore, on October 9th 2015, I received [documented] information in H--- [place] in Meh Pree Pa Doh village about the BGF [Border Guard Force] who are based there, who forced villagers to work for them in harvest season. Currently, paddies on the hill farms are ready to harvest. They [the villagers] have to go to the hill farms [to harvest the paddies] but the BGF did not permit them [to harvest]. They have to stay at the BGF army camp to cook, carry water and wait for luggage to carry [porter] for them. The villagers worried about their hill farm but on the other hand they have to be afraid of the BGF. Thus, those were all difficulties facing the villagers. If the villagers did not cook and carry water for them they threatened, shouted and shot [warning shots to the] villagers with guns. In Bu Tho Township [the villagers who work on] flatland farming are more than villagers who work on hill farming. Even if they work on flatland farming it is not easy work for them [to earn a living]. In 2015 we have seen that some flatland farms were not farmed and ploughed because there was no rainwater in rainy season. When it was the right time for farmers to plough the farm [there was no rain]. They were not able to plough the farm because [the weather was] too hot and there was no water to supply the farms. Some villagers have [own] flatland farms but they were not able to work on them. Some of them work on the flatland farms in rainy season so they have to wait for rainwater in order to be able to farm the land. If there is no rain, they are not able to farm the land. The [weather situation] is not the same as before because of the environment [changing climate] and unfavourable weather. Those are the problems that were [faced] by the flatland farmers. Some [most] villagers work on the flatland farms but they could not collect enough rice for a year. I have not heard about huge economic [activities] conducted by the companies regarding gold mining, ruby mining, and jade mining in Bu Tho Township. Only logs, bamboo, canes, buffaloes, elephant foot yams, cardamom, and rubber are being traded. [Some villagers] work on the rubber plantations and daily labour jobs such as constructing roads and collecting gravel for road construction. There are also many other kinds of daily labour jobs but I am going to mention only this much. Most villagers earn a living from those [daily labour] jobs. There is no opportunity opening up for large-scale business for the villagers. Almost all villagers are doing small business due to limitations [by authorities]. They do small business based on opportunities that they get to earn their daily meal. Regarding healthcare in Bu Tho Township, the health workers are active in the villages to provide medicines and immunisation. We mostly see health worker groups in Bu Tho Township who are Back Pack Health Worker Team (BPHWT), Karen Department of Health and Welfare (KDHW), Mae Tao Clinic (MTC), Free Burma Ranger (FBR) and Burma Medical Association organisations (BMA). 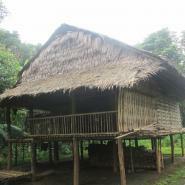 We see that they are situated and active in Mu Traw [Hpapun] District. Currently we have seen that Shoklo Malaria Research Unit (SMRU) is entering to be active there [Hpapun District]. The common sicknesses faced by the villagers in Bu Tho Township are malaria, diarrhoea, red eyes [conjunctivitis], measles, mumps and other common sicknesses. In Bu Tho Township based on research by health organisations they found elephantiasis, cancer, swelling and measles among the villagers [in the communities]. In terms of healthcare and education, Burma/Myanmar government provide good support in the places that they are able to reach. Burma/Myanmar government also provides good support as much as they can to the villagers who live in their controlled areas, but they do not provide support in each place and each village. Regarding education in Bu Tho Township, schools have been built in almost every village and only a few villages have no school. 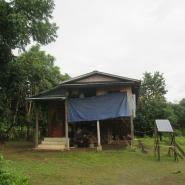 There is also [a] college school and a high school situated in Pa Heh village tract, Bu Tho Township, Mu Traw District. There are 11 village tracts situated in Bu Tho Township. 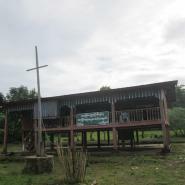 The schools were built in all 11 village tracts. 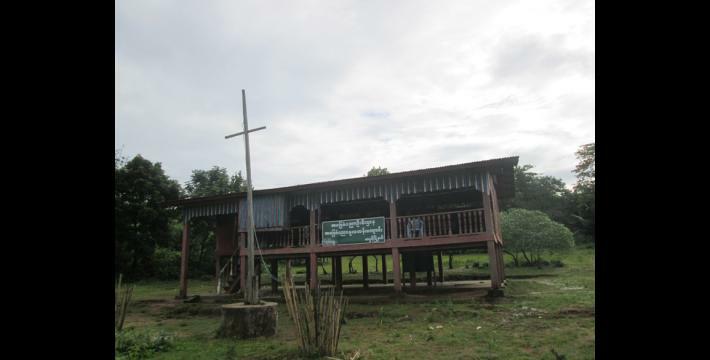 [Some of the schools are run by] the KNU [Karen National Union]. The Burma/Myanmar government schools are also located there. 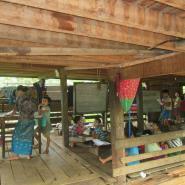 The Burma/Myanmar government built primary schools and high schools in each village tract in Bu Tho Township. [Some] schools are assigned under the control of the KNU and some of them are assigned under the control of Burma/Myanmar government. Different incidents happened in each village tract in Bu Tho Township. I saw and heard [the incidents that occurred] when I was traveling [in the field]. I got to know that each school has a different situation. The schools have been running professionally in some village tracts and have no special [difficulty]. In some village tracts the schools were not running well therefore some schools closed down and the students no longer studied. In 2015 some schools also were abandoned in Bu Tho Township. The main reason is that in August  the KNU [Karen National Liberation Army] were recruiting soldiers therefore, some teachers were afraid of [the KNLA forced recruitment] and fled to Kaw Taw [Myaing Gyi Ngu] Town. They left the school and fled there. 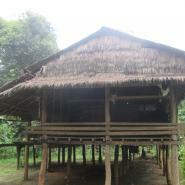 The abandoned school is situated in gI--- Village, Kyaw Pah village tract. 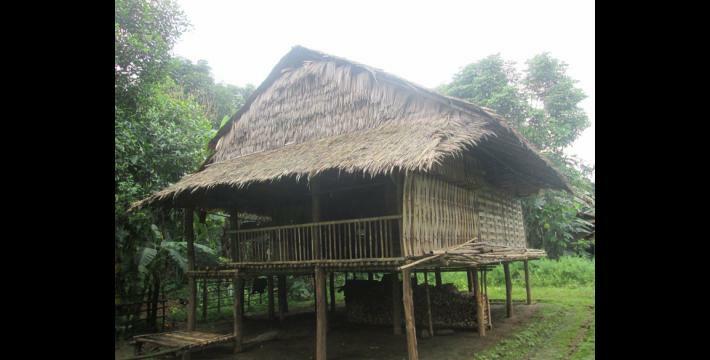 Some schools which are situated in Htee Th’Daw Hta village tract, Bu Tho Township were also abandoned. In Htee Th’Daw Hta village tract the villagers and teachers were afraid of [Commander] Hpah Mee and they fled to Kaw Taw Town. 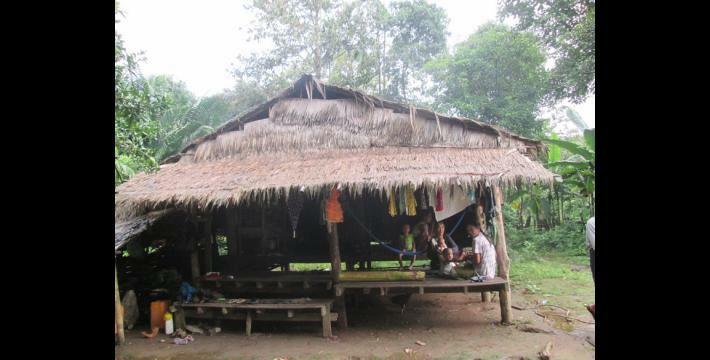 The villagers abandoned schools because they were afraid of Hpah Mee. They are from J--- village, and K--- village. 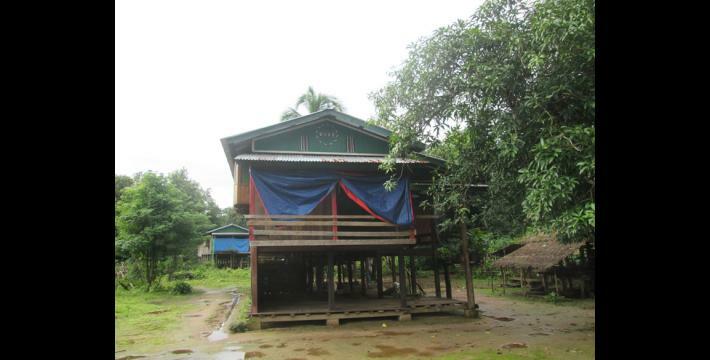 In 2015 Commander Hpah Mee operated in that area so the villagers left the schools and left the village. I received information from the villagers. In Bu Tho Township some schools were not running well therefore children were not able to finish their studies. 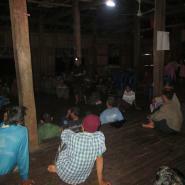 Secondly, it [villagers fleeing due to KNLA recruitment] impacted and disturbed them in their studies. 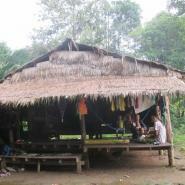 When the KNU [KNLA] were recruiting the soldiers, the students’ parents fled to Kaw Taw Town.Thestudents fled together with their parents to there too. The students who fled together with their parents studied in G--- Village and B--- Monastery school. D--- School is also known as Rr--- in Burmese. Seven standards were being taught in the school and 51 students were studying there. Unfortunately all students fled to Kaw Taw Town. Some students who live in A--- as well as G--- fled with their teachers to Kaw Taw Town. In 2015, when the KNU [KNLA] was recruiting soldiers in Bu Tho Township, teachers were afraid of them and fled to Kaw Taw Town. There were nine teachers who taught in D--- also known as L--- village. Some teachers are Burma/Myanmar government teachers. They [government teachers] went back to the towns [their home towns] and they were no longer teaching in the school. Only two teachers currently teach in the school and they are U San Nyaing and Mi Mi Htun. Seven standards are taught in L--- School and it is a middle school. Teacher U M---’s parents fled to Kaw Taw and he also went with his parents there. If we look at the incident it is not related to the military [forced recruitment] but I do not know why they are [still] afraid of them. The KNU also did not disturb students and teachers. The KNU soldiers [KNLA] also have no idea about why teachers and students quit from the schools. Some villagers misunderstood the KNU but if we look at the situation it is not the KNU’s mistake. [The KNLA] did not disturb the school [students and teachers] so why they left the school we also do not know. It did not happen in every village tract. I have seen and heard that it [the incident] started to happen from Kyaw Pa village tract to the lower part of it. The students and teachers have not left from the schools in Pa Heh village tract, Kaw Poo village tract, Meh Klaw village tract, Meh Nyoo village tract, Meh Koo village tract, Meh Mweh village tract and Day Wah village tract. In Htee Th’Daw Hta village tract I heard teachers were afraid of Commander Hpah Mee and left the school and fled to Kaw Taw Town. The teachers who teach in Bu Tho Township are not receiving the same amount of support [in terms of salary]. In terms of supporting [teachers], the KNU and the Burma/Myanmar government are not supporting them with the same amount. If we look at the situation in some villages, some teachers tried very hard to teach the students but they did not receive any support. There also are some independent [villager-run] schools situated in some villages. In terms of sponsorship [funding], each village tract and village [did not get] the same support. 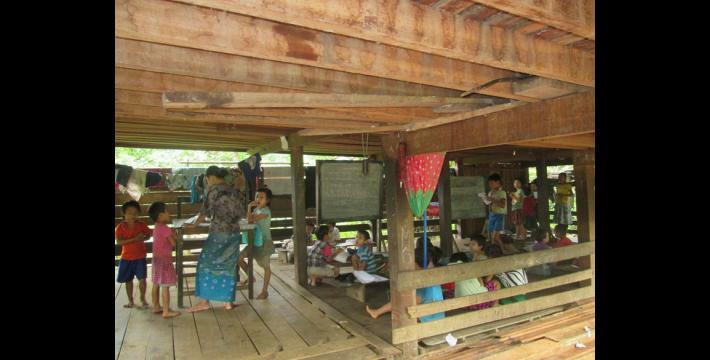 Some schools receive support from the Karen Education Department [KED], some receive support from religious [missionary] leaders, some from NGOs [Non-Governmental Organisations] and some receive support from Burma/Myanmar government and the KNU. The schools received different funding in terms of sponsorship. There are many kinds of challenges faced by the teachers in Bu Tho Township but they did not give up in their employment. Moreover some teachers lost interest and quit from teaching. I received and heard about the information that they did not receive enough support in terms of salary as well as the schools’ need. This situation did not happen at each location. Some places [schools] receive enough support. Some teachers also faced family problems. They faced family problems because they did not receive enough pocket money [from the schools]. Many teachers lost their motivation and stopped teaching in [schools]. Some of them, even if they face family problems, still have a strong interest in teaching and teach students all the time. There are 11 village tracts in Bu Tho Township and most villagers believe in Buddhism. I am going to mention how many religions are practicing there, as I know. There is Buddhism, Roman Catholic Christianity, Baptist Christianity, Islam, and Animism. Especially in Ee Too Hta [Ei Tu Hta] [Internally Displaced People] (IDP) camp I know many religions are being practiced there. They believe in Hpoh Weh Ko religion [a type of Animism], Animism, Anglicanism, Buddhism, and Catholic Christianity. I mentioned all religions that I know they are practicing. We have seen that a small religious conflict happened in Bu Tho Township between Buddhists and Muslims. Since 2015 I have heard and received information [about the religious conflict that happened] in Htee Th’Daw Hta village tract, Bu Tho Township. On June 18th 2015, I received information from Htee Th’Daw Hta village tract at gI--- village. A stupa was built in U Maw L---’s house compound and he received 400,000 kyat [US $326.67] for compensation [for relocation]. U Maw L--- did not want them [monks led by Sayadaw U Thuzana] to build the stupa in his house compound because he is not able to buy another [house compound with that amount of money]. They also built a stupa in U Nn---’s house compound and in Daw N---’s house compound. U O--- lives in P--- village and a stupa was also built in his house compound. In U Q---’s house compound, Sayadaw U Thuzana will build a temple and it [the building] has not started yet but he has already been looking for the land. In Uncle R---’s house compound, the people [U Thuzana and his followers] built the stupa. In terms of the stupa construction, Sayadaw U Thuzana arranged for implementing the project. Regarding to the stupas case in 2015, the villagers complained about it as they felt sad. I received this information from Bo S---. Regarding the stupa construction in Htee Th’Daw Hta village tract, as we know it brought conflict. Sayadaw U Thuzana said that he is building the stupas in [different] places according to the historical record [of Buddhist stupas in the areas] a long time ago. He was finding the places for constructing stupas. He built the stupas but he did not give proper compensation to the villagers. Regarding Sayadaw U Thuzana building stupas, I reported it as I know and have heard. Related to stupa construction [issues], villagers encountered problems. Killing cases happened in Htee Th’Daw Hta village tract, Bu Tho Township. Because killing cases occurred, I named this topic as ‘Killing’. I am going to mention who was murdered and who were the victims as I know and heard. 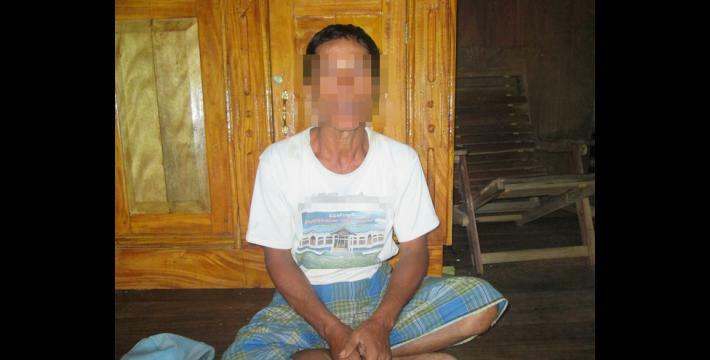 In 2015, Commander Hpah Mee killed’s C--- village tract leader Kyaw Dah Dah. After Commander Hpah Mee killed C--- village tract leader he killed again, [villager] Bee Hka on October 1st 2015. After he killed Bee Hka he again killed another two villagers: Saw Ka Pay and U Hpah T---’s father who is 40 years old and who were murdered by Commander Hpah Mee. The villagers’ named Saw Bee Hka, Ka Pay, and Uncle Hpah T---‘s father were misunderstood by Commander Hpah Mee [who thought] that they had contact [provided intelligence] with the BGF. Thus, they were murdered by him. 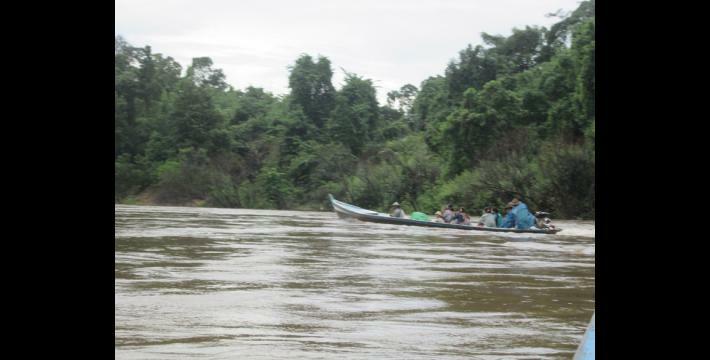 The villagers who were murdered by Commander Hpah Mee were motorboat drivers and they drove the boats on the Salween River. They earned their living as motorboat drivers. The people who saw the incident with their eyes were Hpah Mee’s soldiers. Bee Hka was killed in Kaw Taw Town. Ka Pay and Hpah T---’s father were killed in Noh La Hta and their corpses were buried. When Hpah Mee was killing them, the two witnesses were Hpah Mee’s soldiers who saw that he killed [the villagers]. How these two soldiers saw the incident was because they also hit and beat Bee Hka, Ka Pay and Uncle Hpah T---’s father by themselves. These two soldiers deserted from the control of Hpah Mee and one of them transferred to KNU [KNLA] Company #4 and another one went to Bangkok in Thailand. Hpah Lee Hpoh transferred to KNLA Company #4 and Hpah Naw Lee went to Bangkok in Thailand. Why did both Hpah Lee Hpoh and Hpah Naw Lee desert from Hpah Mee’s control? Because they saw that Commander Hpah Mee did not do the right thing. He killed many villagers therefore Hpah Lee Hpoh and Hpah Naw Lee were not pleased to work with him anymore and deserted. Haph Lee Hpoh and Hpah Naw Lee deserted on October 17th 2015. Hpah Lee Hpoh moved to [serve as a soldier] in Platoon Commander Bo [Saw] Law Pla’s Company #4 of the KNU [KNLA]. He reported about the Hpah Mee situation and the murdering that he [Hpah Mee] had committed. He reported the situation about Hpah Mee like that, [how] after he [Hpah Mee] had arrested Ka Pay he had forced his soldiers to hit him, kick him with their boots and step on him violently until he died. Hpah Mee forced all his soldiers to hit Ka Pay. He did not like his soldiers if they did not hit him [the victim]. His soldiers felt afraid of him and had to follow his orders to violently abuse Ka Pay and Uncle Hpah T---’s father. When [he] forced his soldiers to abuse Ka Pay he also ordered one of his platoon commanders to be in charge of monitoring the other soldiers. The Platoon Commander is Hpoh La Min who lives in Nyah Ta Huh Law. When he monitored the other soldiers, if he saw that they did not abuse Ka Pay he reported it to Hpah Mee. Hpah Lee Hpoh and Hpah Naw Lee were afraid of them and [therefore] they committed violent abuse. Hpah Mee had 17 soldiers [in his Company]. The victims’ families and relatives who are left behind are full of sadness and trouble [stress].They are very unhappy and feel broken hearted. There is no action that has been taken yet about the Hpah Mee case. He killed three villagers again and we have not heard anything change [about the cases]. Based on this case, many people know the challenges that are being faced by the victims’ families and relatives. Hpah Mee currently operates in Htee Th’Daw Hta village tract and villagers were afraid of him until some of them fled to Kaw Taw Town. Regarding Hpah Mee’s case, we have not heard about the KNU taking action for punishment [investigation]. The villagers who live in U--- village, V--- village, K---, W--- village, and X--- village, Htee Th’Daw Hta village tract, Bu Tho Township, Mu Traw [Hpapun] District were afraid of Hpah Mee. 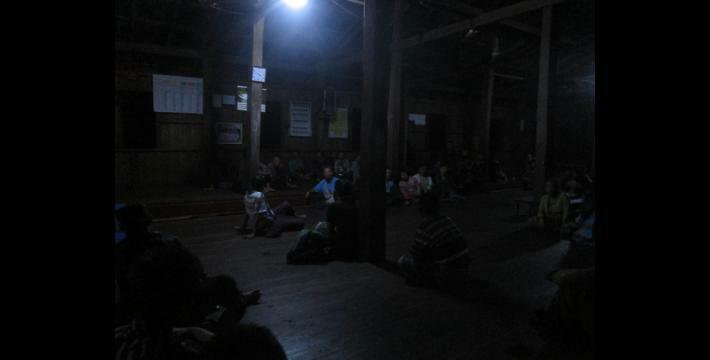 Some villagers who lived in those villages fled to Kaw Taw Town because they were afraid of Hpah Mee. I [KHRG community member] received this information from [position censored for security] Saw Y--- and he sent this information to me. During 2015, violent abuse occurred in Meh Pree village tract and Kyaw Pah village tract, Bu Tho Township. Saw Z-- is Bb-- village head who lives in Meh Pree village tract. He told me that he was violently abused by the BGF’s soldiers Mo Hein and Hpah Waw Say. They hit, shouted and grabbed his bag and pulled him hard. [Another] incident happened in Cc--- village also known as Dd--- village, Kyaw Pa village tract. 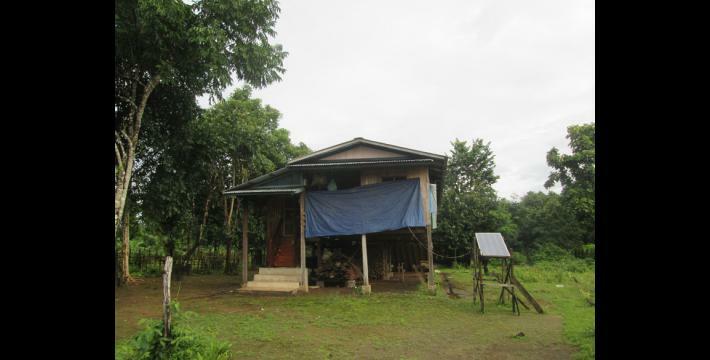 On September 30th 2015, a Tatmadaw officer violently hit Saw Ee-- also known as U Ff--- who lives in that [Dd---] village. We got to know that forced labour happened in Meh Pree Village tract, Bu Tho Township from villagers who complained about it. In 2015 the BGF came to operate and build their army camp in Meh Pree village. They did not simply build their army camp. Moreover, they disturbed and forced villagers [to work for them]. The BGF who came to set up their army camps [there] are Battalion #1014 and BGF #1013. Battalion #1014 commander is Bo Maung Chit and the BGF Battalion #1013 commander is Bo La Kyel. These two groups of BGF battalions operate in Meh Pree village tract and are active in the villages. 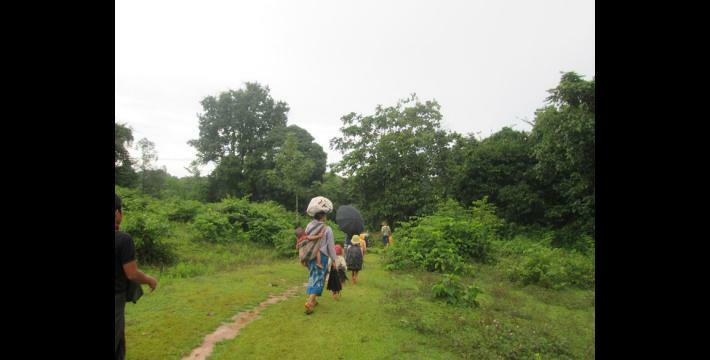 After they came to operate in there, they forced villagers to cook, find vegetables [in the jungle], carry water and forced them to carry guns and pots for them. The villagers are being forced to do labour [work] and [serve] as porters including [villagers in] Bb--- village, Gg--- village, Hh--- village, and Ii--- village, which in total are four villages. 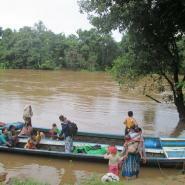 The BGF only forced male villagers, and did not include females and children. The BGF ordered the [male] villagers and said that ‘you have to go [work for the BGF] without being absent’. The villagers have to work for the BGF because they feel afraid of them. Each villager has to cook, and wait for baggage to transport for the BGF. They forced them to serve as labourers for three days per person and made them exempt after they finished their [three day] duty. If they do not go to serve they have to pay 5000 kyat [per day] [US $4.09]. They forced villagers to work as security guards [labour workers]. The BGF set up the timeline [and divided] villagers [into two groups]. They have the order that those villagers who had completed their duty to serve as porters must rotate places with another [other] villagers [groups] who have completed their duty as cooks. They have to replace the porters [from another duty] to then serve as porters [for that duty]. They forced them to rotate in the duties Some villagers had been forced [to do labour] two to three times already. I am going to mention the villagers who were being forced to do labour work for the BGF who live in Ii--- village. I am going to document their names as I received the information. The names of villagers who live in Bb--- who were forced to work for the BGF are [21 names censored for security]. The names of the villagers that I documented are all who live in Bb--- village. I was not able to get the names of villagers from other villages. I reported them as I received. The person who gave me information is [position censored for security] Saw Y--- sent it through [censored for security]. If you look at the incidents [human right abuses] faced by the villagers there are huge challenges. The BGF still forced villagers to do labour work. The villagers who live in Meh Pree village tract were forced by the BGF [to labour for them] in harvest season. The BGF should not disturb villagers and force them to work but instead they forced them to work for them. The villagers could not avoid the orders from the BGF. They reported their problems to the BGF that they have to work on hill farms to harvest the paddies [and said] ‘please exempt us,’ but the BGF did not give them opportunity [to work on their own hill farms]. 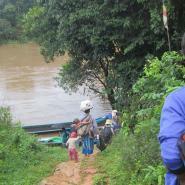 Another issue is that the KNU [KNLA] soldiers who operate there encouraged villagers, starting from now, that in the future they should not go to work [labour] for them [BGF] any longer. [The KNU said] ‘Just wait and see what they [BGF] will do’. 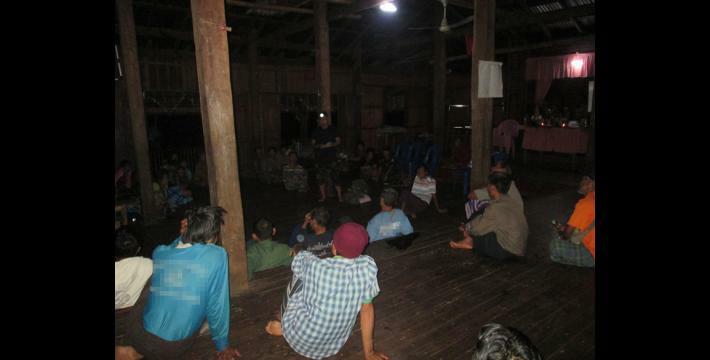 The villagers also tried to do as the KNU suggested to them but the BGF used their power [on the villagers] therefore, they [the villagers] feel afraid of them and have to continue to work for the BGF. On October 27th 2015, at 8:00 pm, a group of BGF who live in Htee Baw [Kaw] Hta [village] came up to Bb--- village. 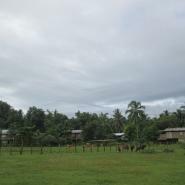 The villagers said that when the BGF were entering to the village they shouted at [them] and shot villagers’ coconuts with [their] gun three times. The BGF came and stayed in the village until 12:00 pm [noon] and then left, back to their base, in Htee Baw Kaw [Hta] village. The BGF base in Htee Baw Kaw [Hta] is led by Mo Hein and he is holding a ‘3 ranks’ position [sergeant]; Company Commander is Tin Win and Battalion Commander is Bo Maung Chit. Regarding this issue, the villagers asked [commanders] to solve this problem but they have not received any response. During 2015, some villagers reported about how they were forced to do labour work by the BGF. Some media groups might have gone to collect forced labour information and at that time villagers might have reported about their problems to them. 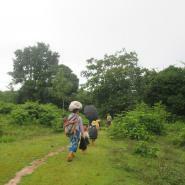 After a report was published it documented the information about how the BGF forced villagers to do labour work. I heard from the villagers that one Tatmadaw officer who lives in Hpapun [Town] read that report then questioned the BGF leaders, ‘did you guys [BGF soldiers] really force villagers?’. Bo Maung Chit directly asked four Jj--- villagers who are Hpah Kk, Naw Ll---, Hpah Mm--- and Kyaw Oo--- [to meet with him]. These four villagers did not dare to go by themselves to meet the BGF therefore they asked Thara Pp--- who lives in Qq--- [village] to accompany them. Four villagers including one Thara, so in total five of them, went to meet the BGF Battalion Commander Bo Maung Chit. When they reached to Bo Maung Chit’s [base] he told them that, “you had reported about how we forced you to do labour works in this way and in that way and documented my name in the report”. If we look at the situation, based on this issue there is no secure place for villagers [to live]. In the future, even if, the villagers suffer [about human right abuses] they are not confident enough to express [report] their sufferings. I know that many challenges are faced by the villagers. Even after the [2012 preliminary ceasefire] agreement was signed, the BGF situation has not improved and they still force villagers to work [labour]. We know and have heard that the Tatmadaw, who are operating in Bu Tho Township, always change their activity [operation strategy]. The Tatmadaw who are based in towns and the jungle are not active in the same way. Before [when the 2012] preliminary ceasefire agreement was signed, the Tatmataw soldiers passed over the KNU demarcation area therefore the KNU soldiers [KNLA] opened fire on them. On September 28th 2015, the Tatmadaw military passed over the KNU delimited area. Therefore, on September 30th 2015 the KNU soldiers [KNLA] fought against them at G--- village. Even though the ceasefire was signed, the villagers were still being questioned [by the Tatmadaw] when they were working [travelling] on the main roads. I saw two Tatmadaw soldiers were checking [driver’s licenses] and ID cards from passengers and the car [drivers]. It happened on October 30th 2015, when I came back from Hpa-an Town on my way before I reached to Hpapun Town at an operation army camp. They took 15 minutes for checking them [the driver’s licenses and ID cards]. In this case, we have not seen any change being made by the Tatmadaw [since the ceasefire]. The BGF Battalion #1013 and #1014 are more active [patrolling] in Bu Tho Township. They are operating in Meh Pree village tract, Bu Tho Township, Mu Traw District. They are active [operating] in many places. After Monk Hkay Mee Ka was shot, the BGF [battalion] #1013 and #1014 soldiers came up to be active and built their bases in [the following] villages: the BGF built their camps in Htee Baw Kaw village, Meh Pree Hpa Doh village, and Na Kyaw village. Meh Say army camp and Hpaw Htee Hkuh army camp had been built before Monk Hkay Mee Ka was shot. Currently we have seen that the situations of the BGF are not changing. I received information from the [position censored for security] Saw Y--- and he said that “if the BGF are active more and create conflict [because they] pass over the delimited area, and if we meet [and] confront them, we will fight against them even if the ceasefire has been signed”. 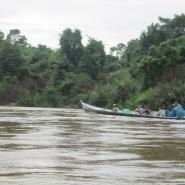 The KNU soldiers [KNLA/KNDO] in Bu Tho Township are operating in their own limited territory as they usually operate. The KNU military who are based in Bu Tho Township are the KNLA, the KNDO [Karen National Defence Organisation] and the KNPF [Karen National Police Force]. 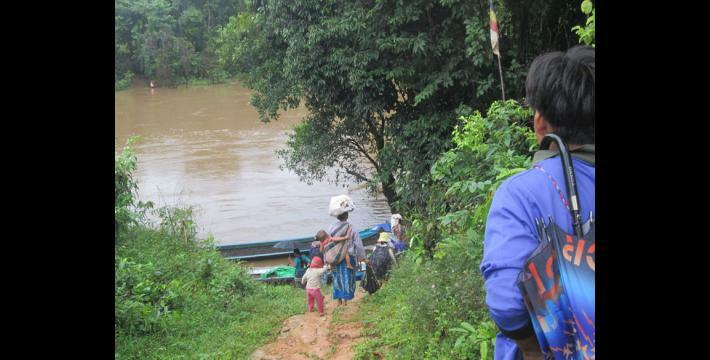 During 2015, the KNU military entered to [the areas] for recruiting the soldiers. They also faced problems when they were recruiting soldiers. How did they face problems? Because when they were entering to the areas for recruiting soldiers, some villagers were fleeing [because of this] to Kaw Taw Town. On August 20th 2015, the above leaders asked village tract leaders to find some villagers to serve as soldiers from their own village tract before they [KNU military] entered to the area. Starting from August 21st 2015 to August 25th 2015, the village tract leaders [were told that they] must bring the selected soldiers [villagers] to the security guard commanders. They gave the order that one village tract leader had to elect 10 people [to serve as] soldiers and governors but the village tract leaders could not elect [10 people] in each village tract. Later, the village tract leaders handed over this duty to the KNLA. Therefore the KNLA took up the duty and started processing the soldiers’ recruitment on September 15th 2015. They stopped recruitment on October 5th 2015. The KNLA Company #4 entered to recruit the soldiers in each village tract. The village tracts that the KNLA Company #4 entered to recruit the soldiers from are Meh Hkoo village tract, Meh Nyoo village tract, Meh Pree village tract, Htee Th’Daw Hta village tract, Meh Mweh village tract, Day Wah village tract, and Kyaw Pah village tract. KNLA Company #4 has been operating in those village tracts. They also entered to forcibly recruit the soldiers in those village tracts. The village tracts from which the KNLA recruited the soldiers, especially Kyaw Pah village tract, [the villagers] fled [from there] to Kaw Taw Town. Because of this issue, it also brought problems for the Karen National Union. The villagers who fled to Kaw Taw Town and left behind their houses are from A--- village, G--- village, and D--- village. [I documented information in] the places and village tracts that I was able to reach in Bu Tho Township, Mu Traw [Hpapun] District. I reported the information as the villagers and responsible people from the KNU told me. The other [pieces of] information are related to human rights violations such as: killing, forced labour and other abuses. I wrote them step-by-step until it came down to the conclusion. The information that I am currently writing, it truly happened and some of them [cases] I know by myself and some of them I heard from the people, therefore I reported all of them. These are the human rights abuses which happened in Bu Tho Township. Monk Hkay Maw Way, also known as Hkay Mee Ka, was reported to be involved with local armed groups as well as development projects in Bu Tho Township. For more information see “Hpapun Situation Update: Bu Tho Township”, KHRG, June 2012. Commander Hpah Mee was implicated in multiple human rights abuses in Hpapun District. He was killed in November 2015, reportedly by a KNLA soldier from Battalion #102. See the News Bulletin The death of Saw Hpah Mee, (November 13th 2015), KHRG, July 2016. 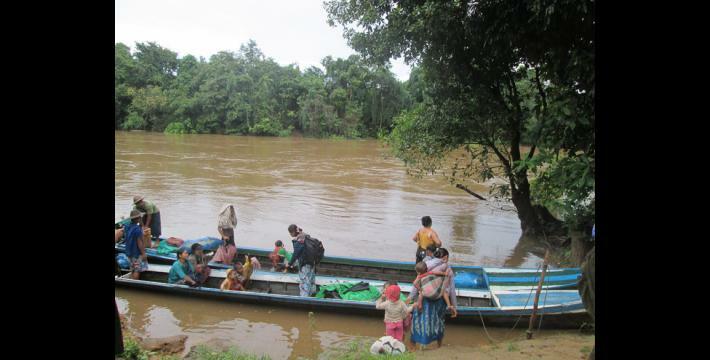 See “Villagers displaced following rumours of KNLA forced recruitment, more flee following a clash with Tatmadaw in Bu Tho Township, Hpapun District, September to October 2015,” KHRG, June 2016. All conversion estimates for the kyat in this report are based on the September 9th 2016 official market rate of 1224 kyats to US $1. Sayadaw is the Burmese title for a monk. See “Commander Pah Mee implicated in violent abuse, disappearance, and killing of village tract leader in Hpapun District, July 2015,” KHRG, March 2016. This report was written prior to the killing of Hpah Mee on November 13th 2015. For more information see “The death of Saw Hpah Mee”, KHRG, July 2016. KHRG continues to receive reports detailing abuses involving BGF Battalion #1013 and #1014, including: “BGF Battalion #1014 demands forced labour, asserts heavily militarised presence in villages in Hpapun District, June 2015,” KHRG, December 2015; Hpapun Incident Report: Villager killed by Border Guard Force (BGF) Battalion #1013 in Bu Tho Township, March 2015,” KHRG, September 2015; “Human rights violations by Border Guard Force (BGF) Battalion #1014 in Bu Tho Township, Hpapun District, May 2012 to March 2014,” KHRG, July 2015; “BGF Battalion #1014 forced labour and forced recruitment, April to May 2012,” KHRG, June 2013. Further reports detailing abuses involving these battalions are also available on the KHRG website.